Memories of my childhood are still vivid in mind. 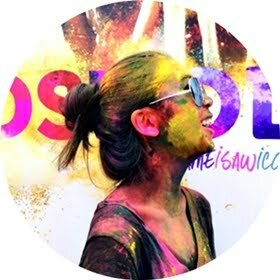 I can clearly recall those precious moments in the kitchen where my late grandpa was stirring up pots of thick curries - prepared meticulously in accordance to the Peranakan recipes he inherited from his grandparents, who were descendants of the Chinese immigrants living along the Straits of Malacca for decades. He would tell me the history of our family, the reasons as to why our lifestyle and traditions are so heavily influenced by the British (more so than both Chinese and Malay combined), and how truly unique it is to be of a Peranakan descent. I truly hope there comes a day when I'd be able to learn more about my ancestry and to preserve its ways before it becomes history! Arguably one of the most popular Peranakan dishes, the black color in this chicken dish is derived from the buah keluak nut. The complex flavors is a result of the delightful combination of shrimp, tamarind, turmeric, candle nuts and galangal. 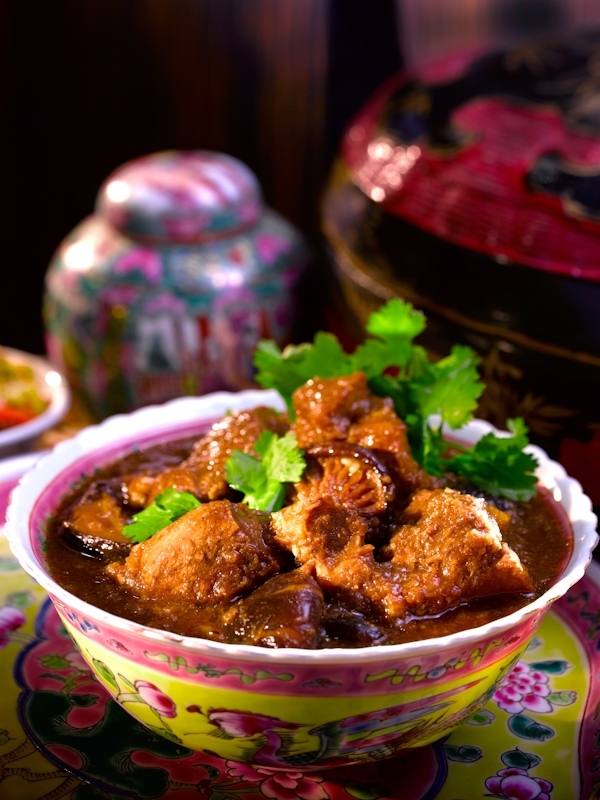 Literally meaning "meat tea", this pork and potato stew is prepared notably using salty fermented soy beans and gula melaka. The pork belly is braised for long hours to achieve a complex and layered flavor and is best eaten with a bowl of warm fragrant rice. 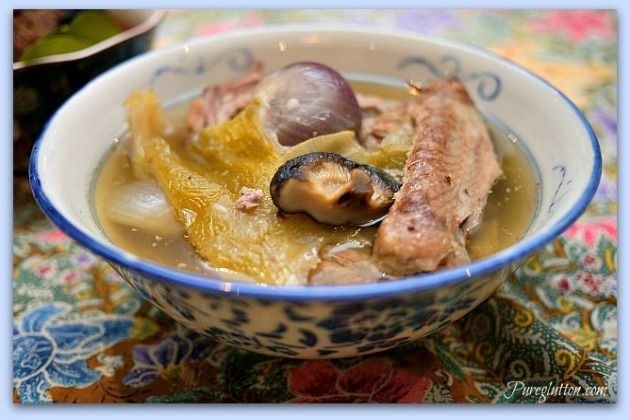 This duck and salted vegetable soup is the perfect dish to be eaten on a cold, rainy day, served with a steaming bowl of rice. 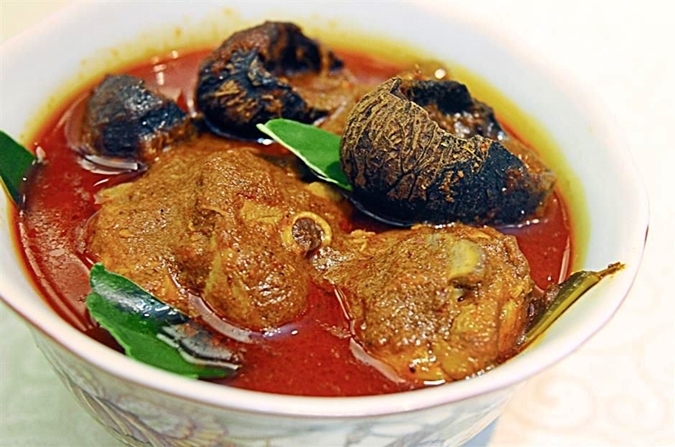 Simple yet comforting, it consists of salted vegetables, tomatoes, tamarind juice and asam gelugor, as well as meat from a whole duck which gives the broth a distinctive aroma. 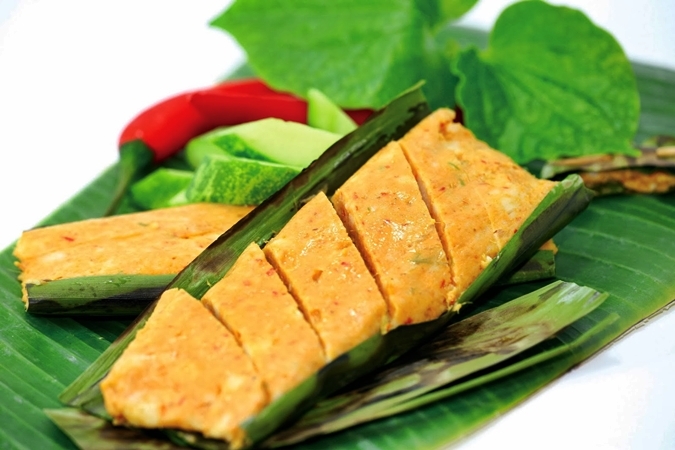 Otak-otak is made from ground fish meat (without the bones) and mixed with spices such as chili, turmeric, and curry powder. 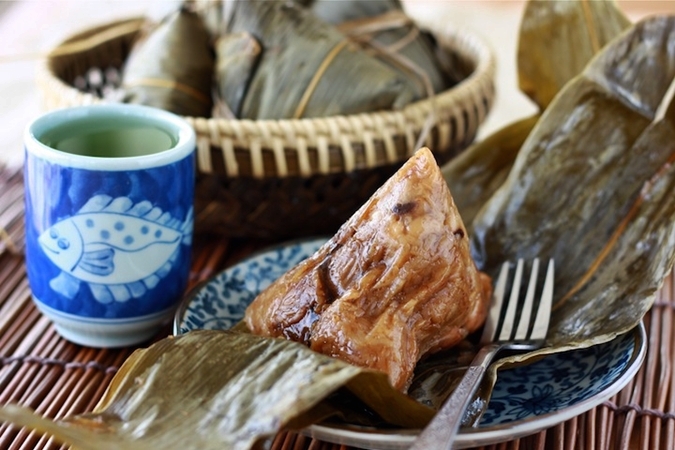 Soy sauce and tapioca flour are added to the fish meat for a thicker consistency. 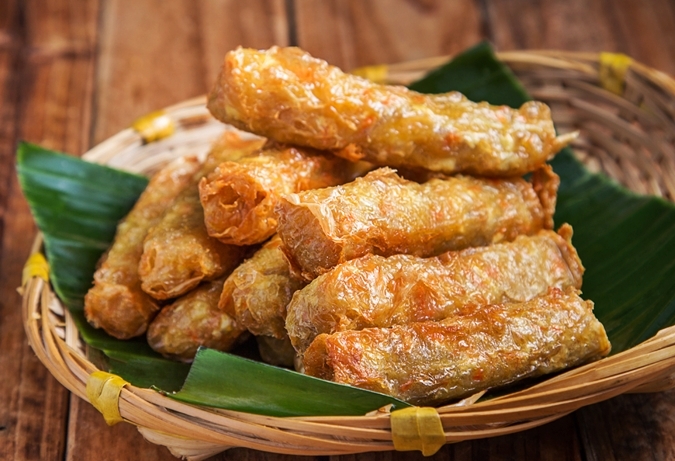 Ngoh (Ngo) Hiang, also known as five-spice meat roll or loh bak is usually made during Chinese New Year. 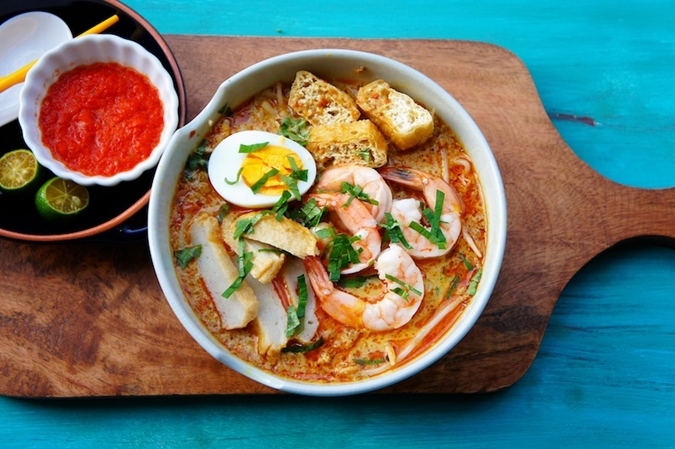 Rice noodles served in a rich coconut gravy, topped with prawns, cockles, lime and sambal belacan. 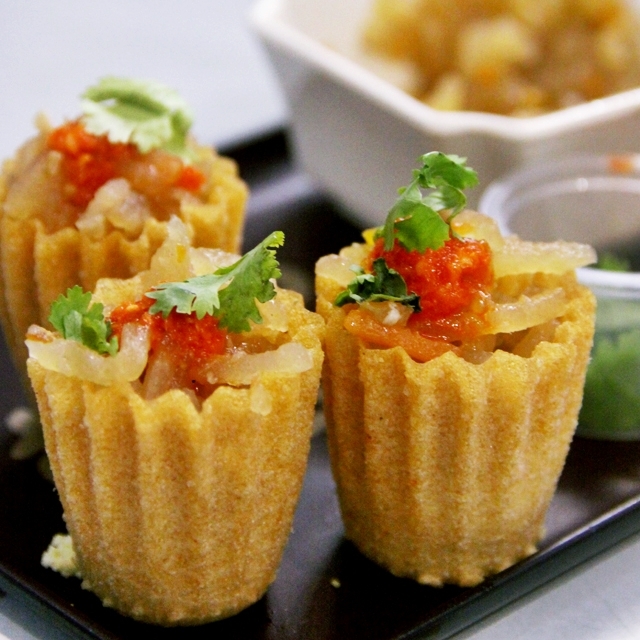 Bite-sized crispy tart shells filled with a spicy and sweet combination of grated vegetables and prawns. A dish of Chinese-Indian origins, this dish is cooked in fragrant tamarind and coconut milk which results in a sweet and sour gravy. Vegetables such as tomatoes, eggplants and okras are added to complete the curry broth. 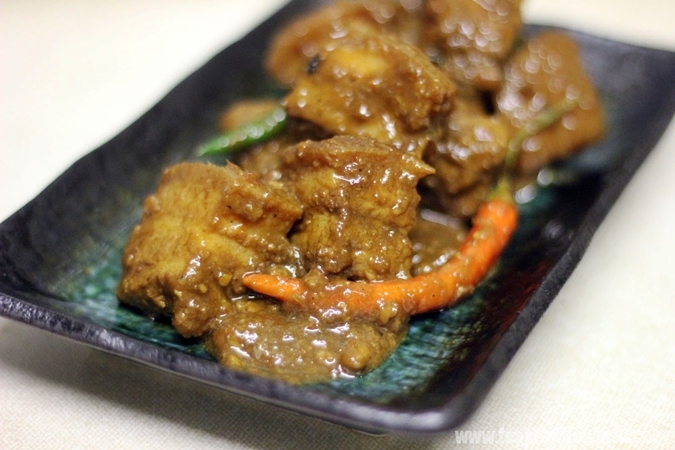 A dish of pork stew cooked in tangy tamarind juice, shrimp paste and taucheo (salted bean paste). 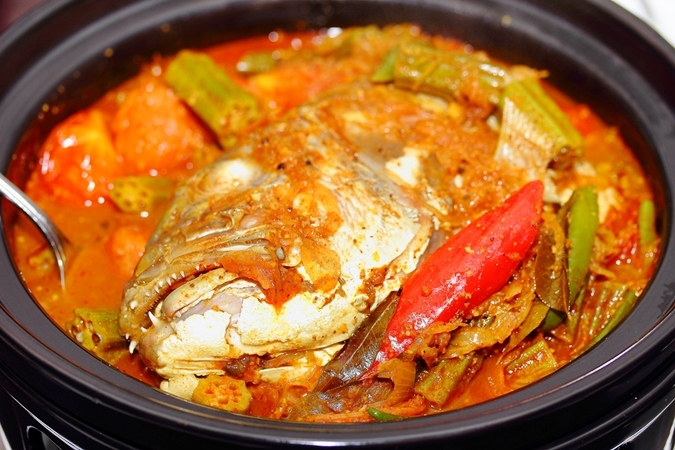 Peranakan dishes are best eaten with a bowl of hot, fragrant white rice - anytime of the day! For related stories, click here.